ORDER TODAY by calling 765-742-7323 or stop by. CHOCOLATE BABKA is love at first bite! Available plain or with cherries. 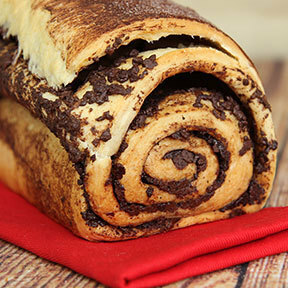 Featuring a rich, chocolate swirled center, this beautiful Easter-European bread tastes incredible. 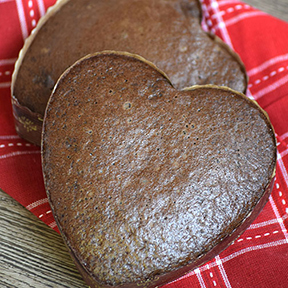 Or share our CHOCOLATE CARAMEL BROWNIE TEACAKE HEARTS, a luscious and rich chocolate cake bread is blended with caramel and chocolate chips and baked to perfection. These adorable heart shaped versions are the perfect treat to share with your chocolate-loving loved ones this Valentine’s Day! Try our CHOCOLATE OHs! 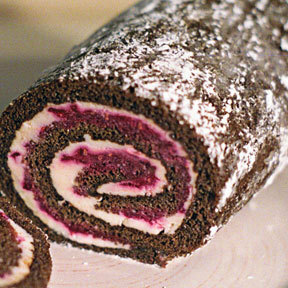 Chocolate cake rolled and filled with a sweet cream cheese filling. Available in plain, raspberry or cherry. 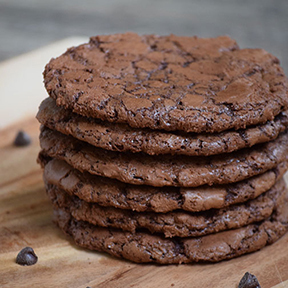 A chocolate sensation, lightly sweet and creamy.